If my husband has his way, we would keep everything I had ever made. He still has my first bean bag frog back from when we first started dating. I was so excited when I finished it, I gave it to him instantly. Afterwards I realized I forgot to buy googly eyes for it. Under-stuffed and floppy, it’s probably one of the most pathetic things I have ever created. It still sits on his desk to this day, blind and eyeless. He won’t let me touch it! Hand sewing. I’m pokey and it takes me forever. Robert surprised me one year with a sewing machine for Valentine’s Day. I marveled at it, and loved it and also … never touched it. It intimidated me, and when I finally learned to use it (years later) I felt guilty. Too easy! Too fast! I like to think I’ve come a long way since then. Sewing is not my forte, and I get conscience-stricken every time I use my sewing machine. My heart really is in weaving, spinning and knitting. Inspiration for me comes in many forms. Sometimes it’s while flipping through a magazine, perusing through a book or just simply watching television. Every day life. I’ve even had it come in the form of a t-shirt my daughter had outgrown and saved it simply for the color combination. I am lucky to have the time and be able to follow wherever my vision takes me, and for that I am eternally grateful. 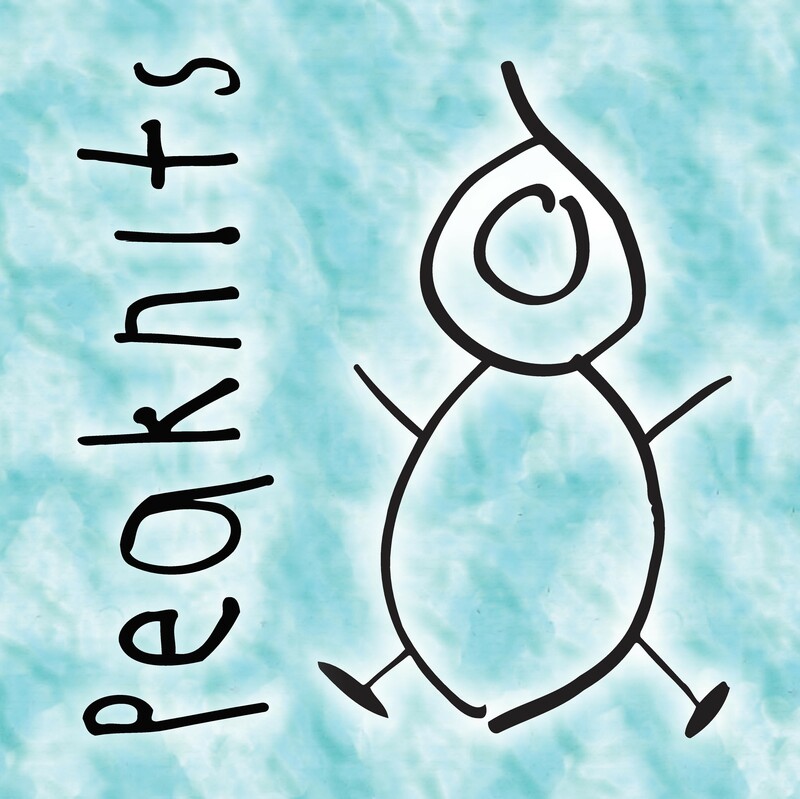 Peaknits is a play on words. When our daughter was born, my husband blessed her with the nickname “Peanut” and it has stuck ever since. She is the reason why I am here today. It all started while recovering from a broken foot. I picked up my great-grandmother’s knitting needles in hope of finding some peace while waiting for my body to heal.